This month we celebrated International Organ-utan day. Organised by World Orang-utan Events, the day looks to promote orang-utan conservation and welfare, as well as inter organization cooperation. 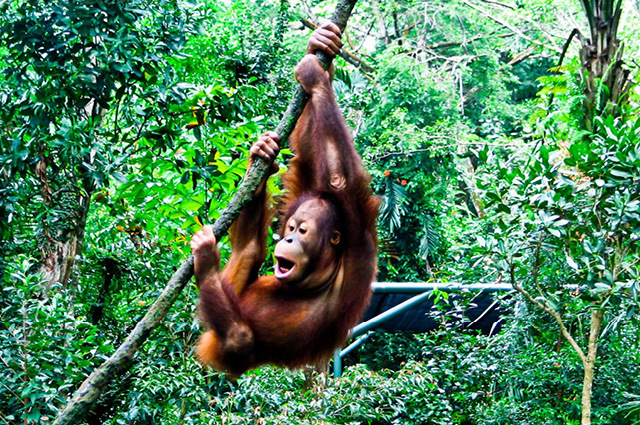 There are two species of orang-utan, the Bornean orang-utan, Pongo pygmaeus and the Sumatran orang-utan, Pongo abelii. Both species are critically endangered, their numbers having decreased by 60% in 60 years. Along with gorillas and chimpanzees, orang-utans are probably the most closely related organisms to Homo sapiens. They share 96.4% of their DNA with humans and in fact the name “orang utan” is Malay for ‘person of the forest’. Like humans and the other great apes, orang-utans are highly intelligent and social animals. They are known for being gentle in nature and even appearing to show compassion towards humans. It is unsurprising that many people say that they have seen the range of emotions we associate with humans in orang-utans. This connection to our own species provides a particularly emotive reason for despair at the steady disappearance of this magnificent animal from the rainforests of Sumatra and Borneo. Without orang-utans the existence of the rainforest that they call home is in danger. By roaming through huge swathes of rain-forest, these gardeners of the forest forage fruit spreading the seeds of many plants. Orang-utans are the sole dispersers of some plant seeds and so provide an essential role in maintaining the health of forest ecosystems a Sumatra and Borneo. Without these gentle giants, local human communities could lose their livelihoods and many organisms could lose their habitats. It is clear that something must be done to save our close relative, the largest tree-climbing mammal. But why are orang-utans dying out? One of the biggest factors endangering orang-utans is habitat loss caused by deforestation for logging or to make way for palm oil plantations. This problem is further exacerbated by roads cutting through the rainforest fragmenting the orang-utans’ habitats. Some orang-utans are butchered for meat or souvenirs, some are killed for encroaching on to land belonging to humans. One reason for the decline in orang-utan populations has been the illegal orang-utan pet trade. Infants of up to 7 years are taken from their mother into captivity. Their mothers are then often killed. Separated from their mothers, a young orang-utan’s chances of survival are greatly diminished. The conditions which these young orang-utans must then survive are often very poor, with malnourishment being quite common. Orang-utans are highly intelligent and social animals and so separation from their mother is cruel and greatly hampers their development. Despite their critical level of endangerment, it is not too late to reverse the decline in orang-utan population. 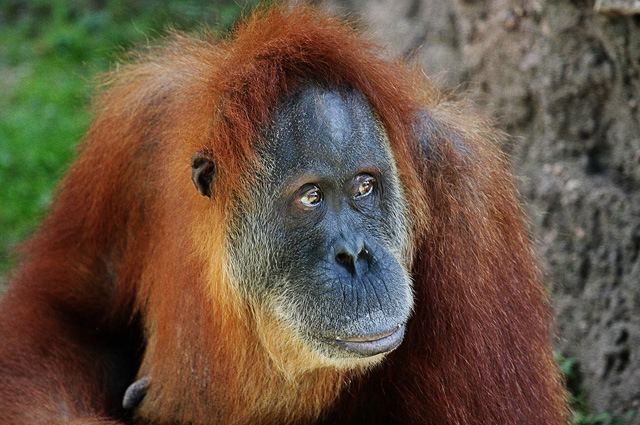 Conservationists are battling to conserve orang-utan habitats and reverse deforestation. 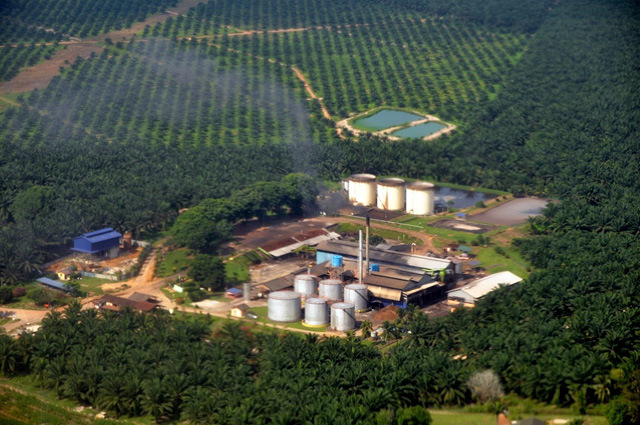 Palm oil and logging are both lucrative industries in both Borneo and Sumatra, so sustainable alternative methods that benefit the local communities must be promoted to replace the jobs and income that they provide. Similarly, although illegal and grossly immoral, the pet trade of young orang-utans provides an income for some members of local communities. Alternative industries for local population must provide a different means for the local population to make a living whilst the governments of both countries must do more to stop this evil trade. Lastly more must be done to promote harmonious co-existence between humans living in or near the habitats of orang-utans. The governments of Borneo and Sumatra should work with local communities to keep developed areas as far from orang-utan habitats as possible whilst developing strategies to avoid fatalities when encounters do happen. For readers who might not think they have the means or influence to affect change and reverse the decline in orang-utan populations but would like to, the World Orang-utan Events website has a useful page that helpfully explains what you can do.